Photo of an unidentified youth in a Tokyo by Michael Rougier, 1964. I couldn't help but post another uniform from LIFE's 1964 Japan issue. 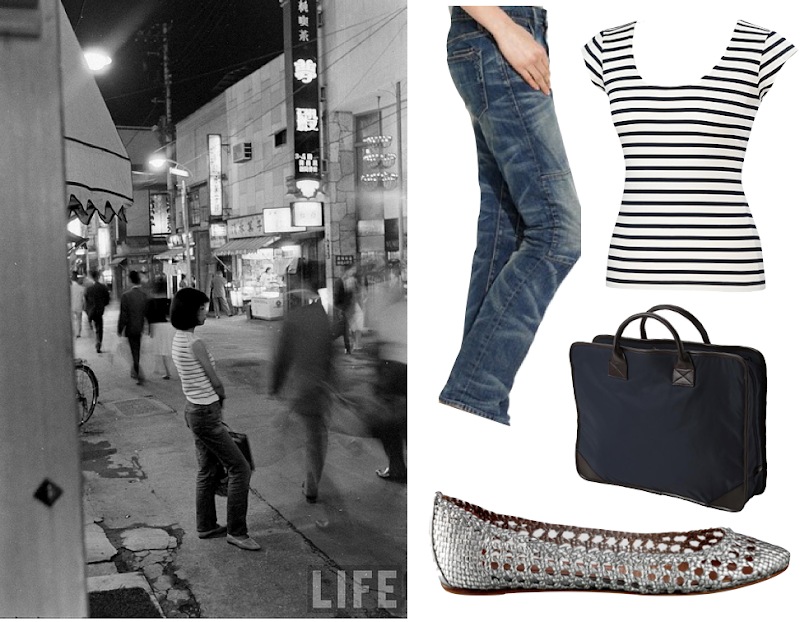 Heritage premium outpost jeans in voyager wash ($200); Saint James tee ($63); Muji document bag ($70); Sigerson Morrison ballet flat ($270). I'm in love with those shoes!! I wish they were cheaper though! Love that weave. Love your Japanese uniforms, Lizzy. I studied abroad in Kyoto when I was in college and have been fascinated with all the crazy youth fads of Japan ever since. I know, I'll look around for something a little cheaper, I wish they were more reasonable too!